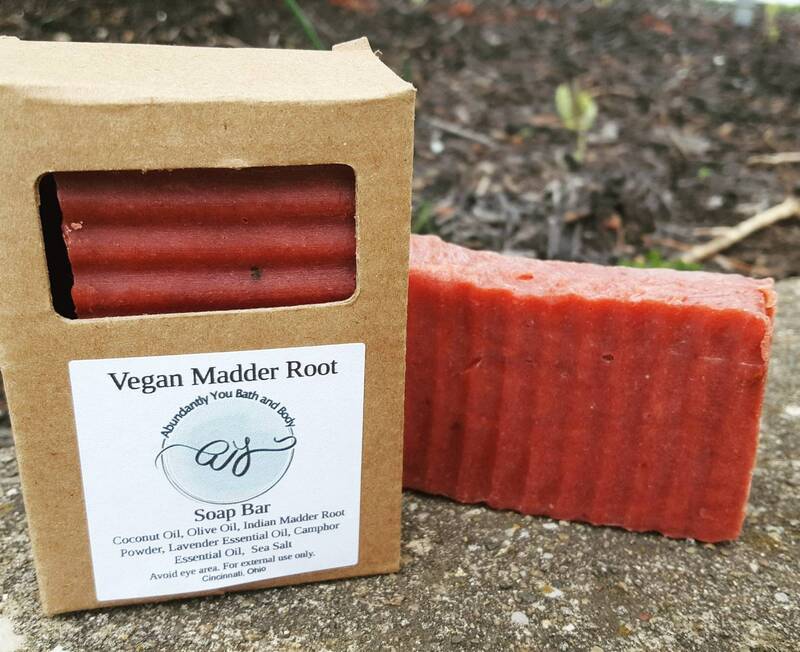 Our beautiful Madder Root Vegan soap bar is the color of ruby and rich with the fragrance of lavender and camphor essential oils. This bar has a creamy, rich lather that cleanses and moisturizes the skin. 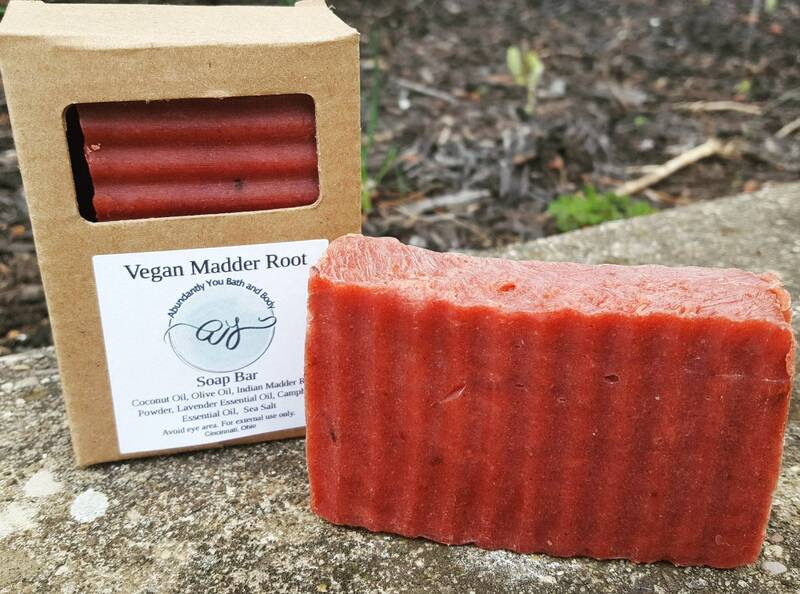 This soap bar contains the wonderful herbal properties of madder root (Manjishtha) powder. It is naturally scented with camphor and lavender essential oils. This gives the bar a floral, peppermint like fragrance. Ingredients include saponified coconut and olive oils with madder root powder and essential oils.